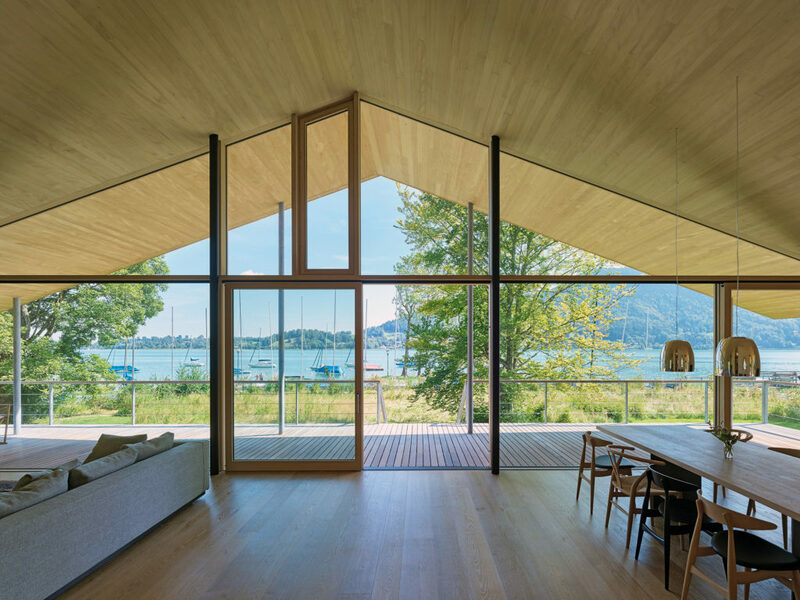 The house on the lake refers to the local boat and fishing houses and follows the tradition of rural construction by the water. 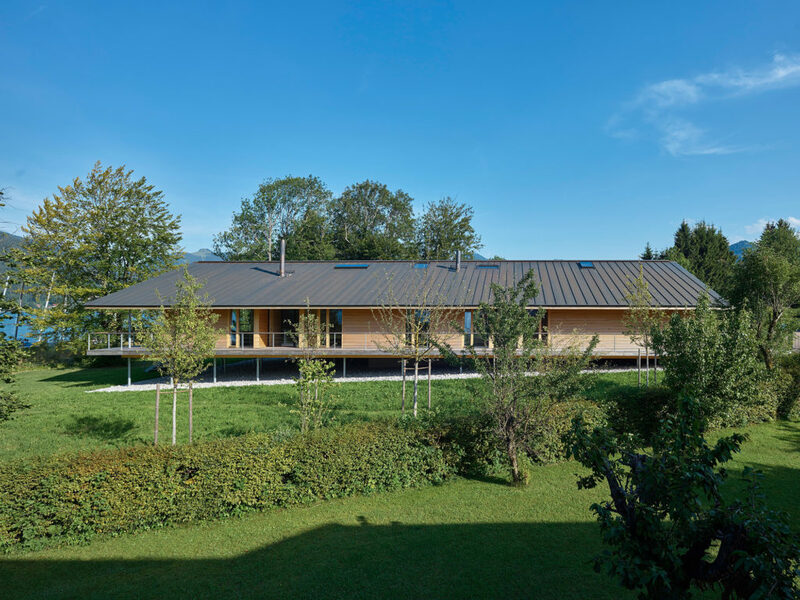 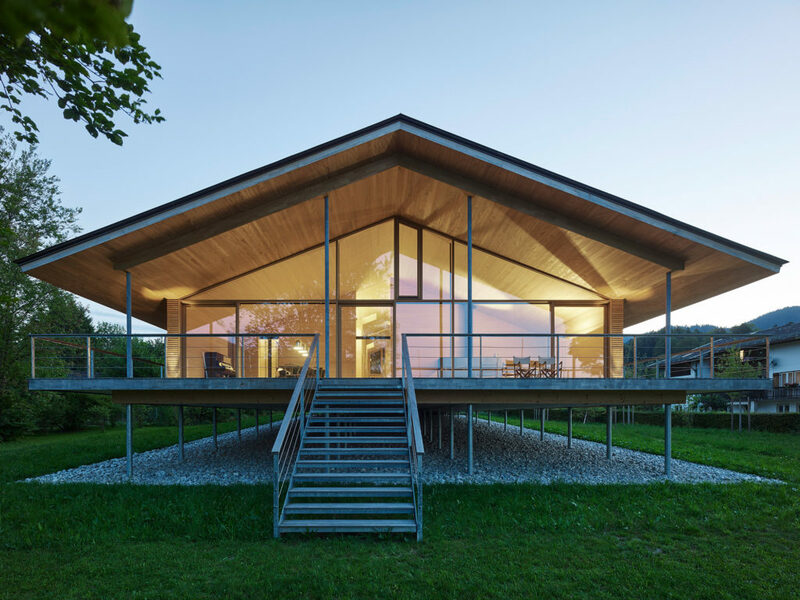 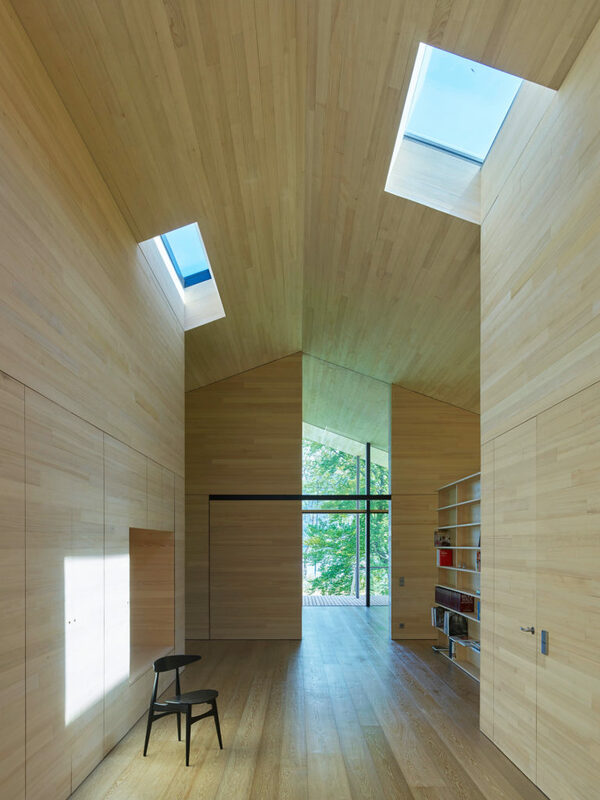 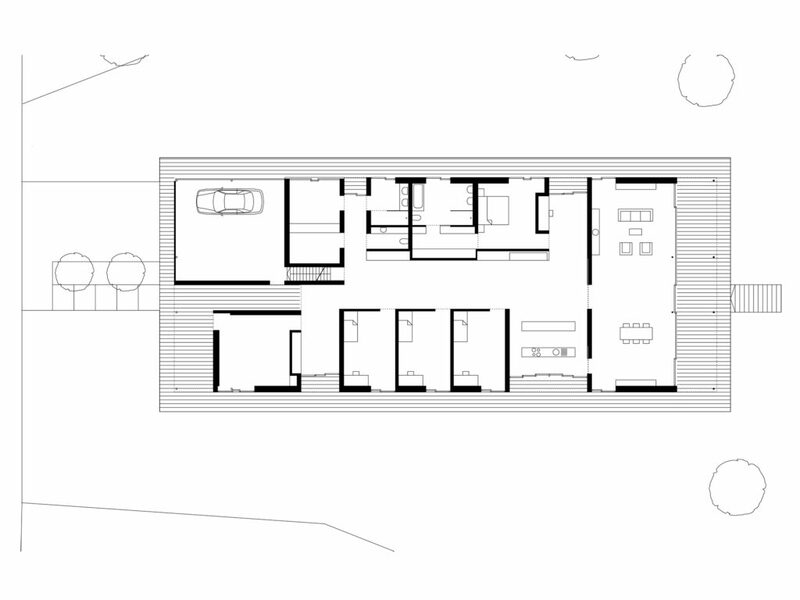 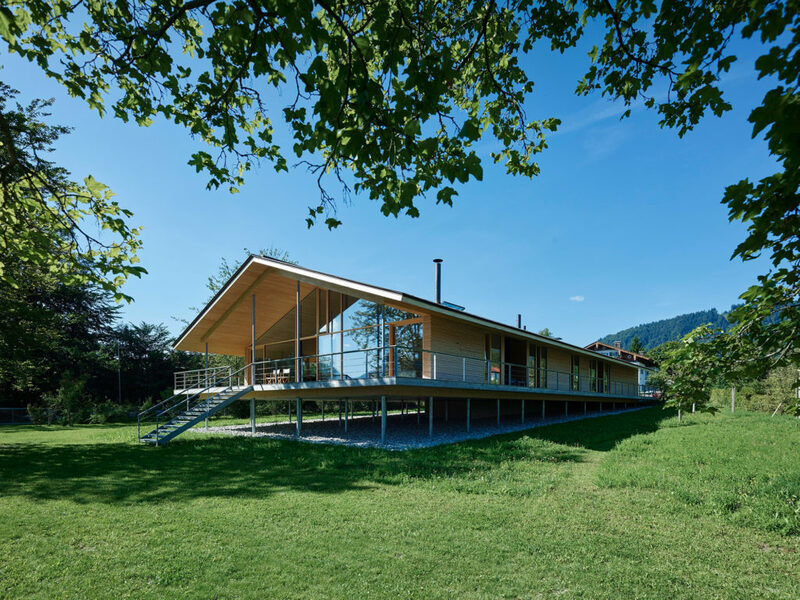 Lightness, a low, wide roof structure and a strong emphasis on the horizontal determine the design. 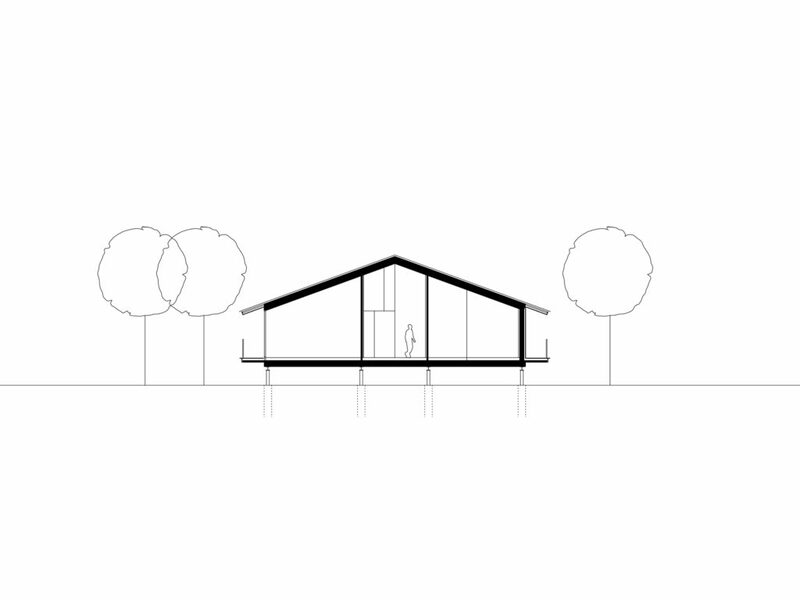 The timber construction, predominantly from local woods, is elevated to protect it from flood. 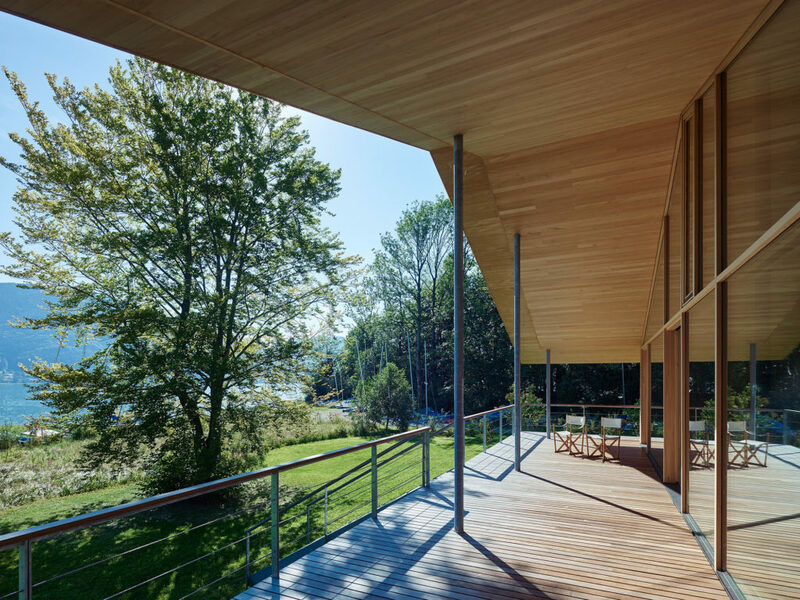 The wooden porch surrounding the house widens to a terrace at the lakeside, completely covered by the steep saddleback roof. 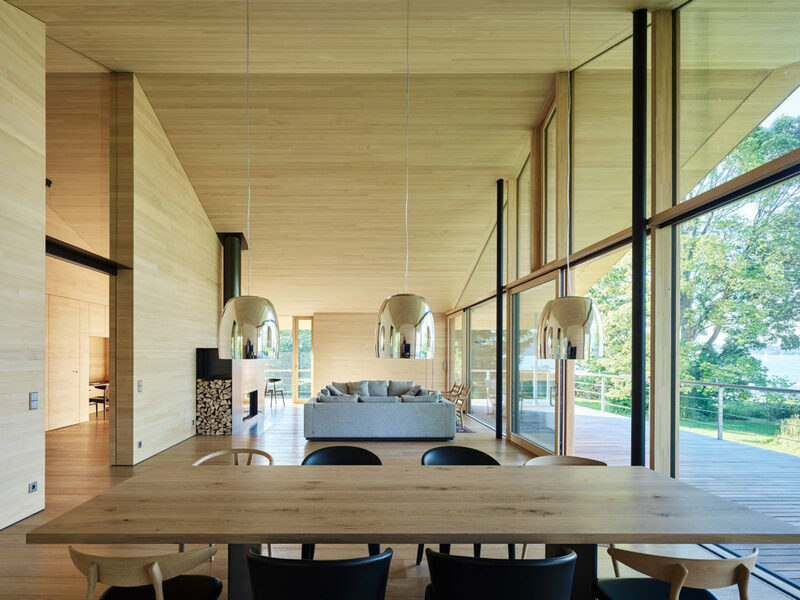 The vertical timber formwork of the facades is untreated, with wide glazing allowing generous views into the surroundings.